A new event described as vegan Oktoberfest has been criticized by a number of disappointed attendees who cited high prices, misleading advertising, and deleted complaints among their concerns. 'Vegtoberfest', which took place on the first weekend of October in London's Camden Town, was advertised as offering a large thriving Bavarian-themed hall bustling with lederhosen-clad waiters. But according to some people who went to the event, the event lacked atmosphere. Complaints included decor consisting of two strings of flags, beer served in plastic pint glasses not steins, cold mulled wine, long waits for food, and buskers playing outside. "It was the biggest rip-off I have ever experienced of any kind of event," one Facebook user wrote. "It was basically just a pub bbq, except that the £16.50 ticket price included nothing at all. "When the cooker worked then the food was the only saving grace, but that has to be considered separately as they were done by a third party - so, unless you count that the staff were in fancy dress shop costumes, there was nothing resembling an #Oktoberfest event in any form. "The beers were the same as what you'd find anywhere in #Camden, with Lowenbrau being the only German lager at just under £7 a pint [sic]." Camden eatery Rudy's Vegan Diner was one of the caterers at the event. Some disappointed attendees complained about the lack of food available and long waits for what was on offer - though were supportive of Rudy's itself. "We can comment that all of our customers were very understanding and supportive of us even though they may have felt overall disappointment with the event itself," said a spokesperson for Rudy's Vegan Diner. "Based on their positive attitudes, we could not tell they were upset with the event. We were overwhelmed by their patience and encouragement – go VEGANS!" 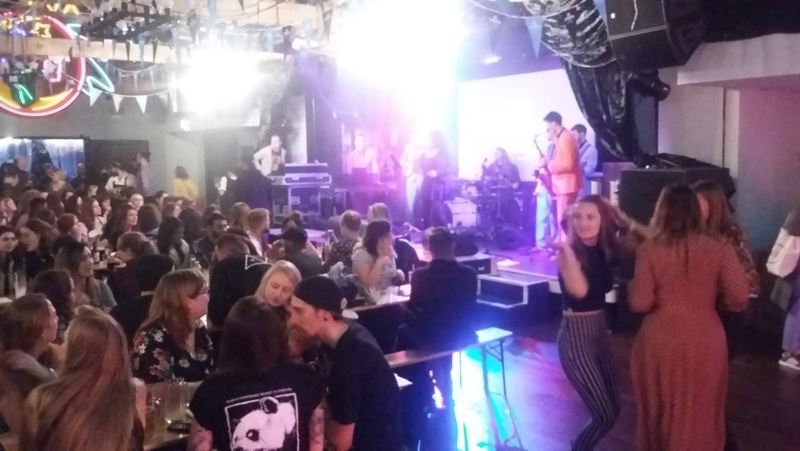 Following the event, a number of people complained to Vegtoberfest and its host Fest Camden. However, these complaints were reportedly removed, with one commentator claiming: "They're periodically deleting all negative reviews, both here and on the venue’s page." The event page was subsequently removed and the venue's page reviews have now been hidden, however, some print screens of the comments and reviews have been retrieved. Plant Based News contacted organizers about the removal of negative reviews, but they did not comment. However, they did send out their prepared press statement. 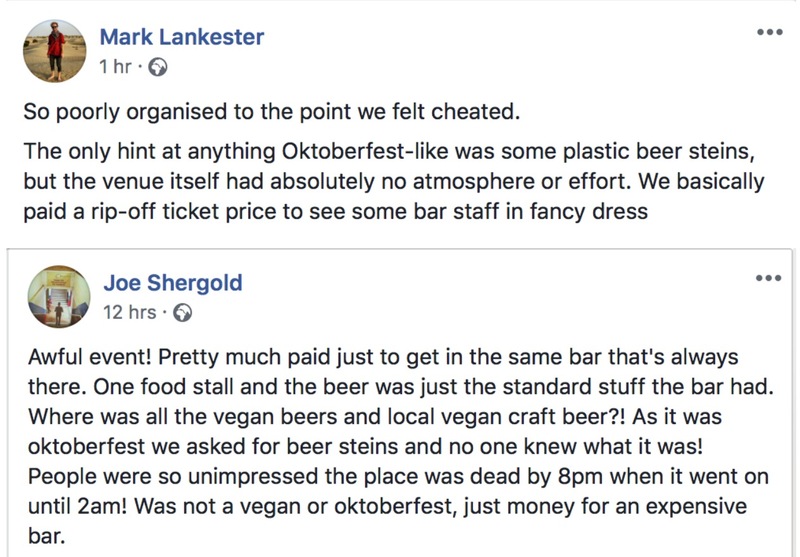 A Vegtoberfest spokesperson told PBN that organizers were sorry some attendees did 'didn't have the experience they were hoping for', but said the majority of people who attended 'had a great time and there is a lot of positive feedback'. He added: "Our aim was to create a modern meat-free alternative version of Oktoberfest rather than a traditional German Oktoberfest experience. The entertainment reflected this - we booked a highly-regarded seven-piece live band, a popular alternative magician/comedy act and party DJs to warm things up. "There was also a line-up of buskers playing on the terrace. This has been a tradition at the venue for the best part of a decade and we wanted to keep that in place." The spokesperson added that the choice of beers was popular - and demand so high that kegs were being changed often, meaning some drinks were unavailable for short time periods. 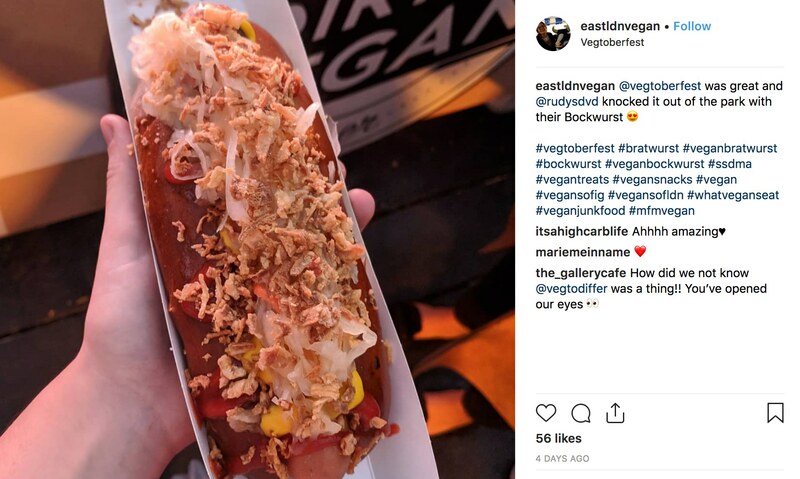 "Rudy's Dirty Vegan bratwurst and bockwurst stall was also incredibly popular and they did their best to keep up with demand," he said. "Generally feedback about Rudy’s Dirty Vegan was great. FEST Camden also ran a vegan pizza stall and vegan pretzel stall which were very popular. "We appreciate the feedback from customers. We have taken it on board and we will use it to make next year's festival even better." In addition, the spokesperson sent links to a number of positive social media posts about the event. Rob is the Creative Designer of Plant Based News. He is an illustrator/animator/graphic designer who combines these skills with his activism. 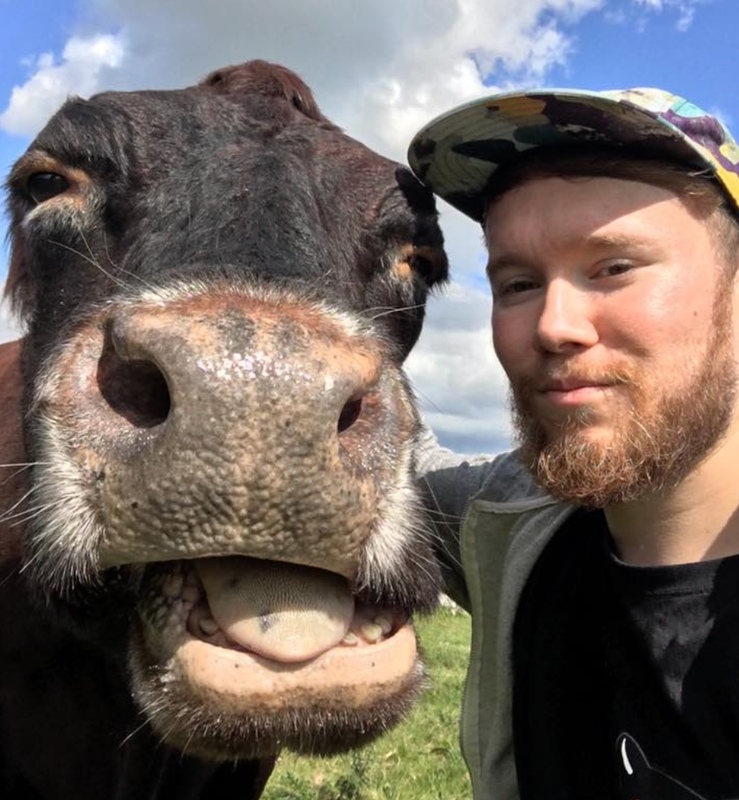 He has worked with other vegan organizations such as Surge, Animal Aid, Vegan Campout, and Animal Justice Project whilst maintaining hands on street activism by running an Anonymous for the Voiceless chapter. He also uses his design skills to work outside of the animal rights movement, selling artwork, working for record labels, and design organisations such as D&AD. You can follow his activism on Instagram @90_til_infinity or his artwork at @rob_halhead.